Super fast shipment and delivery to kursk region reached 7 days with weekends. Very good price. The courier brought to the door. the store is very good to everyone i recommend!!! I can not check the performance because i'm waiting for liquid from china. After checking, i will add a review. Thank you!!! 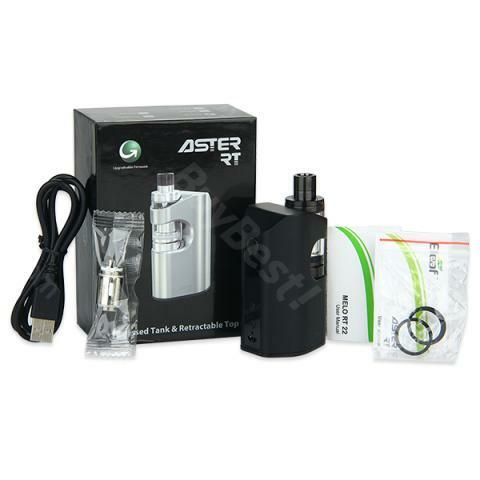 Aster RT kit came fast, well priced product, I will advise everyone to buy on buybest. Aster rt kit is a big guy, who is very sturdy. Sometimes, I feel like it's hefty in hand... From 40 - 100 watts, it can handle with good cool vapor production. It's of nice weight, feels great in my hand. The battery life is long enough for me. It's worth mentioning that It's a good kit. Shipping was fast as always. The fire up is quick and the buttons are nice, the battery life is outstanding! I'm very pleased with this purchase and would recommend it. Compact, powerful and sustainable are the key features of Eleaf Aster RT 100W kit. 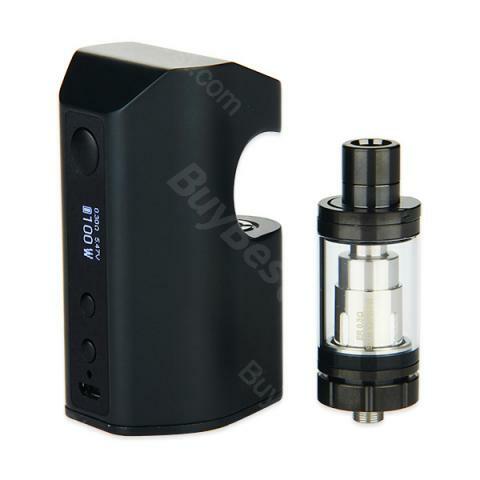 It's famous for it's unique design by hiding the melo rt 22 tank in the box Mod perfectly, so it can save big room and make it look like all in one. 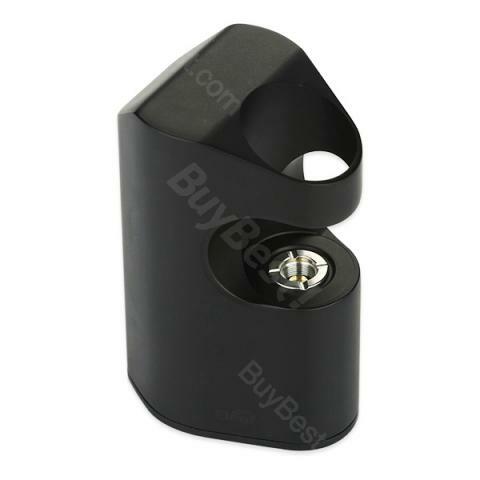 Aster RT Mod is featured with 100W output max and 4400mah battery capacity, which can meet your daily vaping demand. With innovative retractable top design, the melo rt tank gives a easy top filling solution and has a tank capacity of 3.8ml. Eleaf Aster RT 100w is a unique kit that you don't want to miss. 6. Finally the Melo RT 22 is ready to use. Press the fire button 5 times in quick succession to turn on/off the device. Keep holding the fire button to take a puff when the device is powered on. Press the fire button and down button simultaneously when the devic is powered on to switch between stealth on and stealth off mode. In stealth on mode, you can vape with the OLED screen off and you can press the fire button one time to check current setting. Keep pressing up and down button simultaneously for 2 seconds when the device is on, the up and down buttons will be locked and screen will display "Key Lock". In the same way, the up and down buttons can be unlocked and the screen will display "Key unlock". Keep pressing up and down button simultaneously for 2 seconds when the device is powered off, the screen display will rotate 180 degrees. In power-on state, choose VW mode; keep holding up and fire buttons till current interface flashes; when it's flashing, press up or down button to switch among different interfaces; finally press fire button once to confirm the interface you choose. In power-off state, keep holding up and fire button till M1 mode appears; press the fire button 3 times to "Pwr", and press up or down button to adjust the wattage of preheat; press the fire button again to "Time", and press up or down button to adjust the second of preheat or turn off the preheat function. 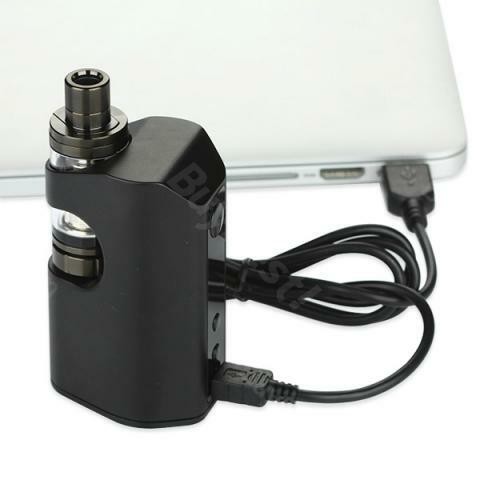 When the device is powered on, press the fire button 3 times in quick succession, the device will display current vaping mode. 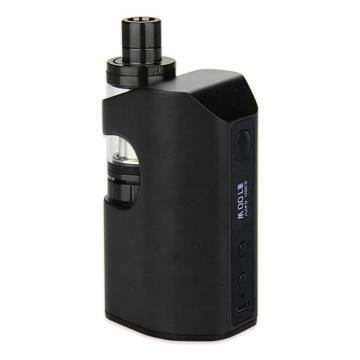 press up or down button to switch among VW/BYPASS/SMART/TC-Ti/TC-Ni/TC-SS/TCR-M1/TCR-M2/TCR-M3 modes and then press the fire button one time or stay in the interface for about 10 seconds to confirm the vaping mode you choose. 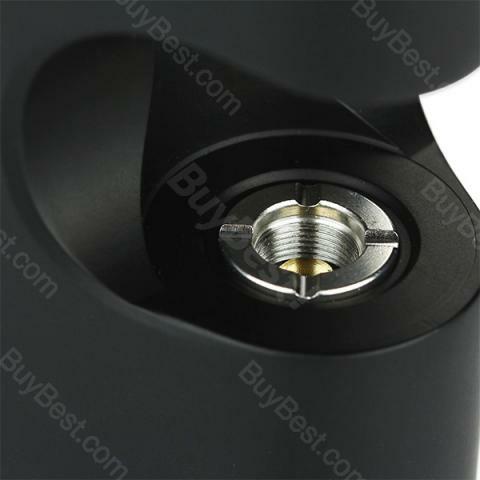 • You can buy Aster RT MOD, Melo RT22, Replacement ER 0.3ohm Head separately. NOT compatible with ERL Heads.